It’s not immediately obvious, but when you look at Tim, Tom, Jax and Fabio, you’re looking at dogs Springfield considers to be pit bulls. The four pooches don’t look all that similar, but because an animal control office deemed them pit or part-pit, all are covered under the Springfield’s pit bull ban. These dogs were being hugged and fed blueberry-lamb treats at Castaway Animal Rescue Effort’s brightly-painted shelter on West Sunshine Street on Friday, when two News-Leader journalists stopped by to meet some dogs. Anna Yendes, C.A.R.E.’s pit bull adoption coordinator, notes that the four young dogs don’t really look as if they belong to the same breed but were all labeled as “pit bull” when C.A.R.E. took custody. “They’re extremely different looking,” Yendes said. Even so, there are some common characteristics, Yendes said: stocky size, short and sleek hair, blocky heads and whippy tails. But, she said, those are broad characteristics that are also seen in mastiffs, bulldogs and boxers — which ostensibly are not pit bulls by the city’s “extremely arbitrary” definition. Take Fabio, who Yendes described as a lithe pit bull-hound mix or Tom, a bouncy boxer-pit bull mix. Neither of them looks like possible relatives for Jax, a big, dark pit bull who Yendes believes has some lab blood in him, and none of the three look like Tim, a shy, squat American bully with an enormous head. Effective Jan. 1, the city will stop allowing new pit bull dog registrations. Studies in 2015 and have found that veterinarians, animal shelter workers, and animal control workers struggle to correctly and consistently identify pit bulls as such, in large part because there is no one “pit bull” breed. The 2016 study, speaking of the accuracy of visual identification vs. DNA test results, found that humans are far from foolproof when it comes to picking out pits. Instead of devoting energy to the pit bull ban, Yendes believes the city should work on enforcing its existing ordinances regarding reckless owners, vicious dogs and untethered canines. 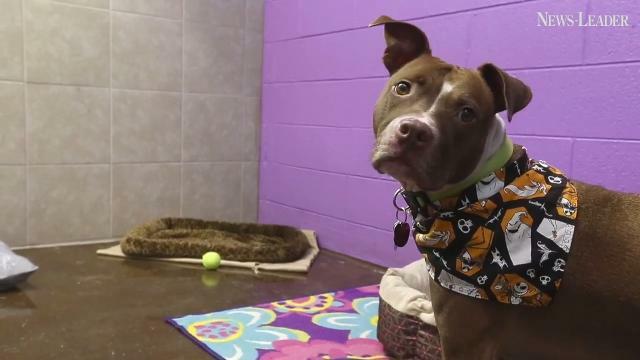 She also suggests dog owners who suspect their dogs are pit bulls to register their pets with the city to be on the safe side, as well as spaying and neutering. A spokeswoman for the City of Springfield did not respond to multiple messages. Put yourself in the shoes of an animal control officer and test yourself: Can you identify a pit bull? Small Haired Puppy Breeds – Oh the Pros!